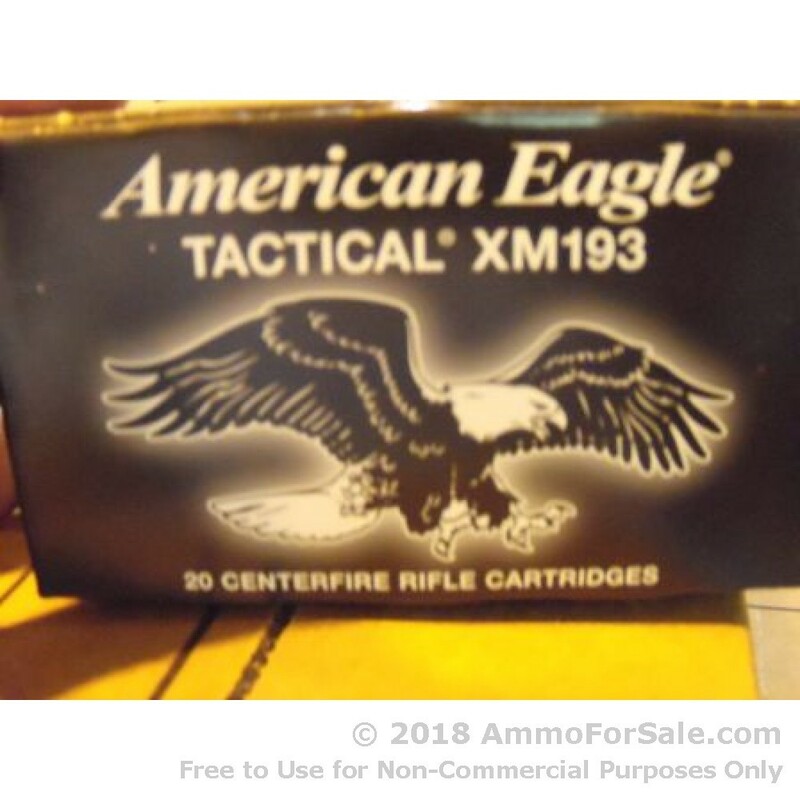 Federal is one of the premier manufacturers of 5.56x45 ammo in the world and we're proud to offer these rounds for sale, designated as XM193. 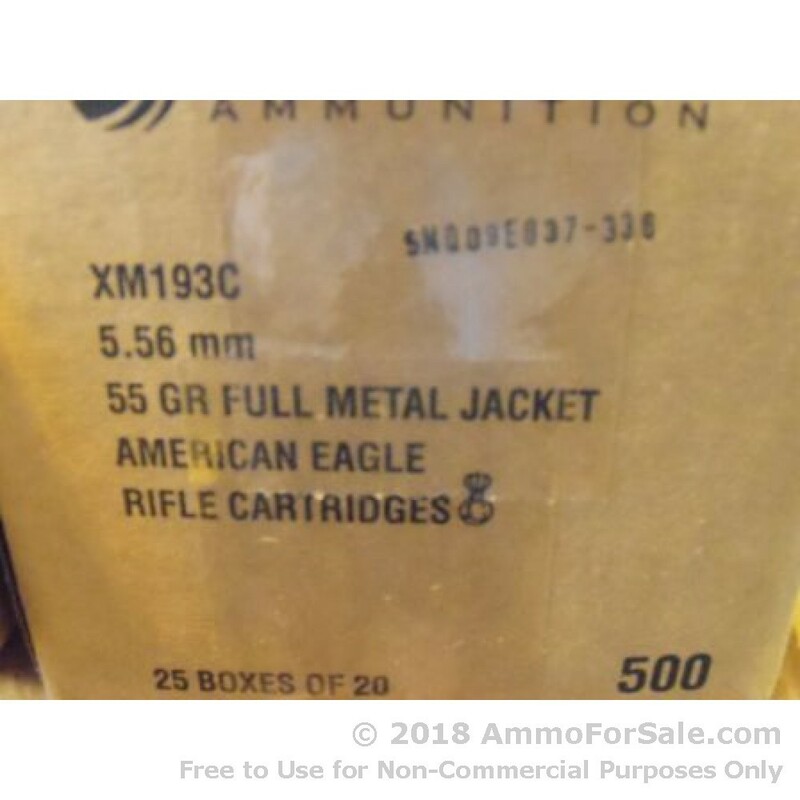 This 20 round box of brass-cased ammunition are boxer primed and loaded with 55gr FMJBT (full metal jacket boat tail) projectile. 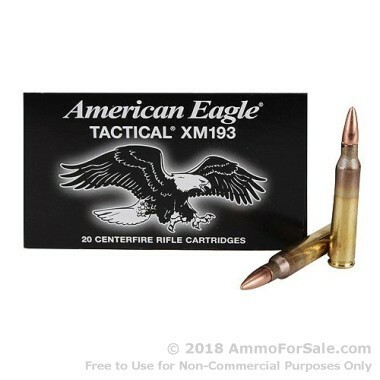 Incredibly reliable, this 5.56 ammo will feed your hungry rifles reliably for a marathon range session with outstanding ballistic performance; these rounds leave the muzzle with a velocity of 3,250 feet per second. Looking for more rounds? We also carry 500-round and 1,000 round packages of this 5.56 from Federal. Whether you want to blast away during an extended range session as your rifle gobbles up this ammo or choose to make every shot count in preparation for a shooting competition; these full metal jacket boat tailed rounds will make your time at the range count. The 55 grain loading is one of the more popular sizes to shoot in rifles with a barrel twist greater than 1 in 9". Federal ammo is loaded using the highest quality components manufactured in-house and exceeds all United States Military and NATO standards. An industry leader for almost a century, Federal was founded in 1922 and is headquartered in Anoka, Minnesota. In addition to manufacturing quality ammunition, shooters have come to know Federal well for making all of their components in-house. Their primers, brass and projectiles have long been the first choice for professional shooters and reloaders throughout the world.